A Lexus Design Award. 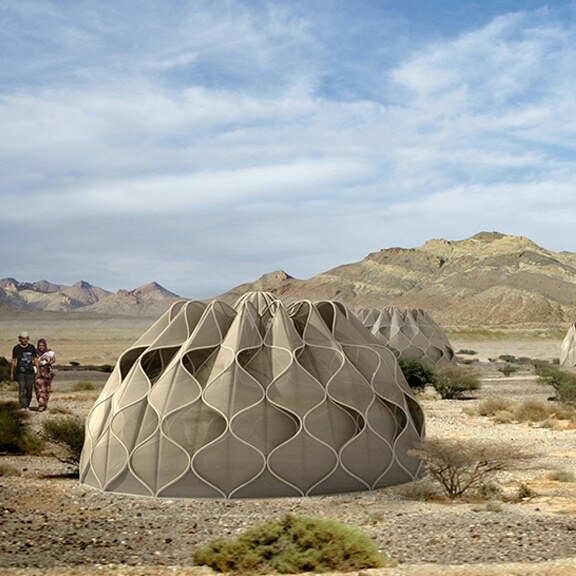 Structural fabric weaves tent shelters into communities – collects solar energy, rainwater and folds up for easy travel. In the aftermath of global wars and natural disasters, the world has witnessed the displacement of millions of people across continents. Refugees seeking shelter from disasters carry from their homes what they can and resettle in unknown lands, often starting with nothing but a tent to call home. 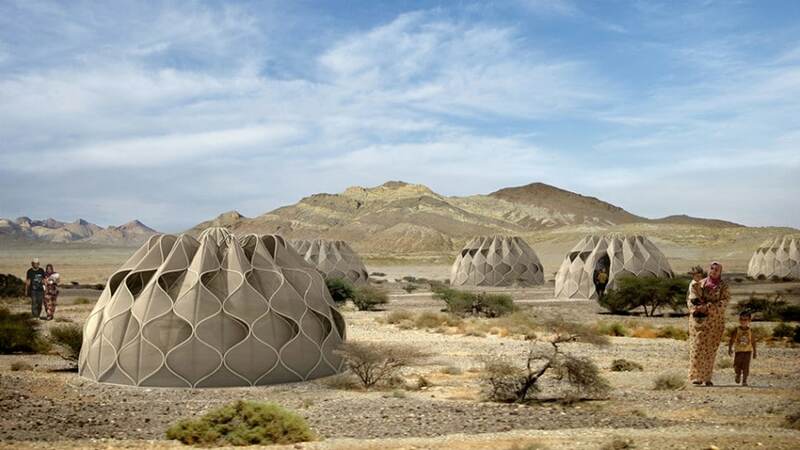 “Weaving a home” reexamines the traditional architectural concept of tent shelters by creating a technical, structural fabric that expands to enclose and contracts for mobility while providing the comforts of contemporary life (heat, running water, electricity, storage, etc.). Filed under product design, sustainable design. Tagged Abeer Seikaly, Lexus Design Award, tent.